The Nashville Songwriters Association International (NSAI) and Country Music Television (CMT) have announced the 15th Annual NSAI Song Contest Presented by CMT. The contest is open to all genres and submissions will be accepted from Sept. 1, 2014 until Oct. 31, 2014. 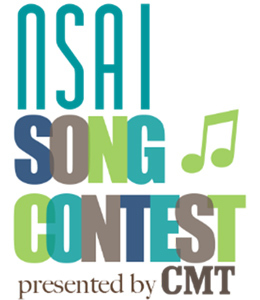 The top ten songs will be voted on by the fans during February 2015 to turn out a Grand Prize CMT Listeners’ Choice Award Winner. The winner will receive a mentoring session with Warner Music Nashville recording artist Charlie Worsham (who was the 2006 NSAI Song Contest Winner), a one-year single song contract with Little Louder Music Publishing, live performances at the 2015 Tin Pan South Songwriters Festival and The Bluebird Cafe, a three (3) day trip to Nashville, Tenn., and more. Submit entries via mail to NSAI (a printable entry form can be found at nsai.cmt.com) or online at sonicbids.com/NSAICMTSongContest. Entry fees are $35 per song for current NSAI members and $45 per song for non-NSAI members. There is no limit to the number of songs that songwriters can submit. In addition to the CMT Listeners’ Choice Award Winner, one lyric-only winner will be selected along with 10 runners-ups and 10 honorable mentions. All entrants will receive a personalized scoring sheet.